The award, run by Blackburn with Darwen Council, recognises those food businesses, schools and nurseries which provide healthier food choices to those they cater for. The Recipe 4 Health initiative is in line with the Public Health Responsibility Deal which encourages businesses to make pledges to help tackle ill health and the burden of obesity on society. 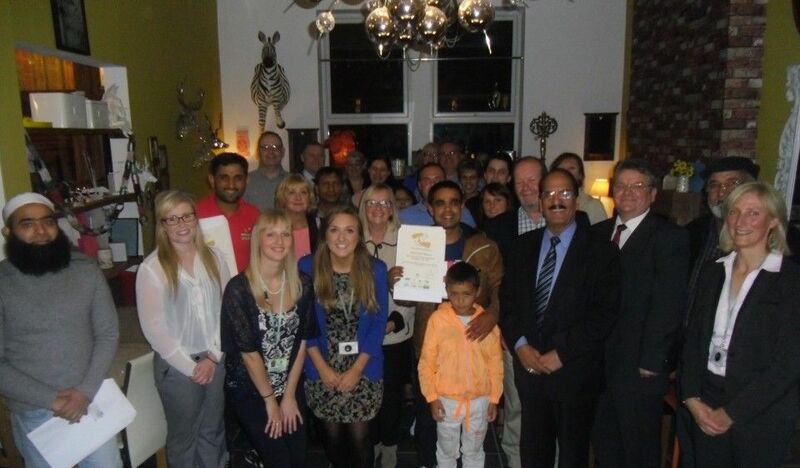 An award presentation event took place at Dolly’s Tea Room on Bolton Road, Darwen, and awards were presented by Councillor Mohammed Khan, Blackburn with Darwen Council’s Executive member for Health and Adult Social Care. Receiving the awards were: Willow Tree Nursery, St Edwards RC Primary School, Marshmallows, Mash’s Wing Ranch, May Flower, Well Bread, Saffron Indian Takeaway, The Sandwich Deli, The Old Mill Hill Chippy, St James C of E Primary School, Holly Tree Chippy, India 2 U, Kitty Honey Jamaican Food, Bolton Sailing Club, TCK Deli, Charcoal Cuisine, Woodside House Care, The Tea Shop, Coach House Nursery, Manlee Chinese Restaurant, Godfather, Amalfi Lounge and Darwen Aldridge Community Academy.